If you took psychedelic mushrooms then watched reruns of The Oprah Winfrey Show, the results might look similar to Oprah in Ava DuVernay’s A Wrinkle In Time. In the Disney movie, the talk show host/actress/greatest human ever sports billowy white hair, glitter-speckled lips and eye lids, rhinestone-covered eyebrows, and glitzy costumes; it’s certainly a #look. Now a new poster of the upcoming Disney movie shows off just how trippy of an adventure it will be. 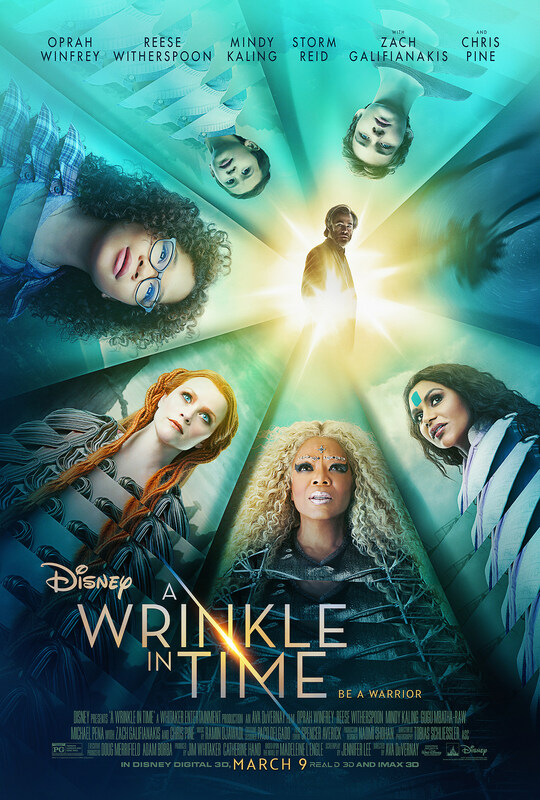 DuVernay’s fantasy film, an adaptation of Madeleine L’Engle 1963 novel, follows a young girl, Megan (Storm Reid), traveling through alternate dimensions of time and space to save her missing scientist father. Along the way she meets three celestial beings, Oprah’s Mrs. Which, Reese Witherspoon’s Mrs. Whatsit, and Mindy Kaling’s Mrs. Who. The first dazzling trailer gave us a little taste of the wild inter-universe journey DuVernay will take us on, and the latest one sheet captures the rippled layers (wrinkles?) of time as well. A Wrinkle In Time also stars Chris Pine, Zach Galifianakis, Gugu Mbatha-Raw, and Michael Peña. The film hits theaters March 9, 2018.